The Dusky 242 Bay (LOA: 24′ 2″, Beam:7′ 8″) features a front casting platform that is both spacious and stable, and the stern area offers plenty of room to maneuver while fishing. The versatile Dusky 242 Bay has been designed to handle the shallower bay waters, while still being offshore-friendly, making her a well-rounded, seaworthy craft. Standard features include hydraulic steering, binnacle control, twin pedestal chairs, port and starboard rod racks, and bow and anchor storage compartments. 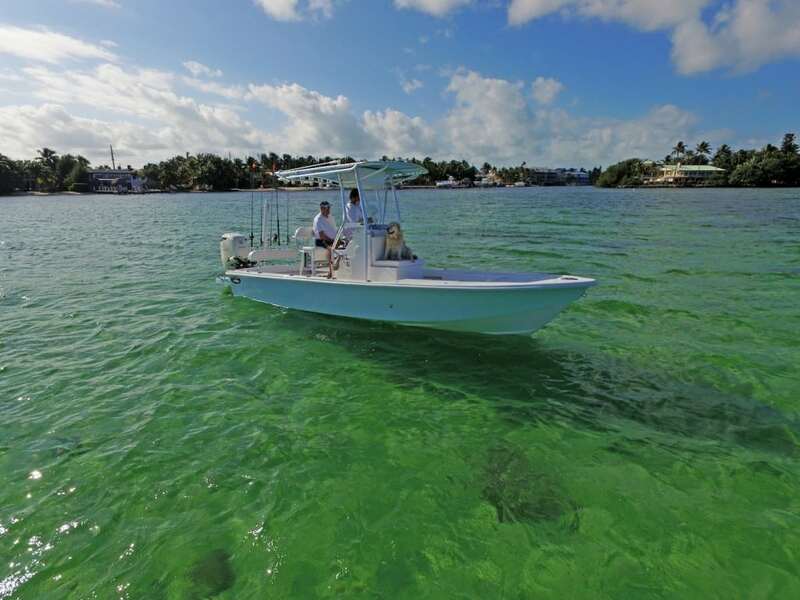 She has a 100-gallon fuel capacity and is available with a wide variety of outboard motors for the power-driven boater.